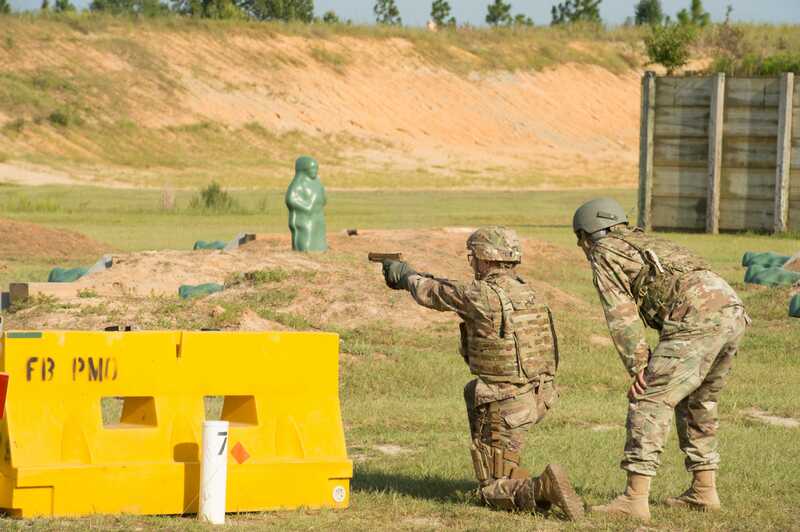 The Army plans to start distributing its new Modular Handgun System, the Sig Sauer P320, to soldiers from the 101st Airborne Division at Fort Campbell, Kentucky, this fall. The rollout would come less than a year after the Army awarded the $580 million contract to Sig Sauer to produce the gun, also called the XM17. And Marine Corps officials have said their personnel may soon adopt a more compact version of the pistol, called the XM18. Chief Warrant Office 5 Christian Wade, the small-arms expert for the 2nd Marine Division, told Marine Corps Times that the service would perform a review in the near future to learn which positions need the new weapon. Earlier this month, the Army assembled soldiers, sailors, Marines, and airmen at Fort Bragg in North Carolina to put the new handgun through a round of testing, using it alongside the M4 rifle and cold-weather gear. The Army-led training mainly featured soldiers from the 508th Parachute Infantry Regiment, and Army officials have not said what other units were present. Earlier this year, an official from the Marine Corps Capabilities Development Directorate’s Maneuver Branch said the Corps was taking part in the Army’s Modular Handgun System selection effort in order facilitate its own search for a new sidearm. The official also displayed a chart showing the Marine Corps’ current side arms, the Beretta M9 and Colt M45A1, in service until 2025, overlapping with the XM17, which would come into service in 2023 and stay through 2035. A new handgun is not the only change that may come to the Army and Marine Corps arsenals. Both service branches are considering setting aside the M16/M4 rifle platform in favor of a new rifle that offers more range and stopping power, potentially firing a different caliber bullet as well. 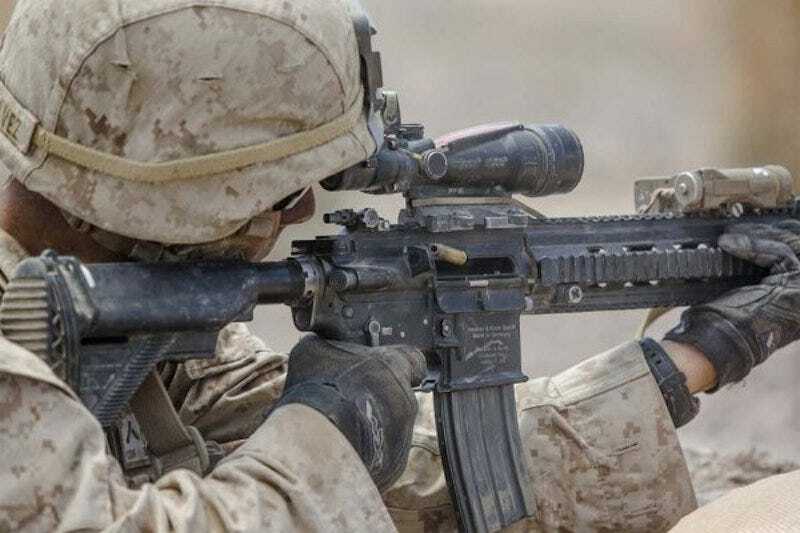 The Corps is considering replacing the M4 carried by most of the branch’s infantry riflemen with the M27, the infantry automatic rifle first introduced in 2010 and currently carried by one member of each Marine infantry fire team. The M27 was brought in to replace the M249 squad automatic weapon, though some officials have touted intermediate-caliber weapons as a potential replacement for the infantry rifle and squad automatic weapon, with one size bullet catering to a family of weapons. Col. Mike Manning, the chief of Marine Corps Systems Command’s Ground Combat Element Systems, also said this week that the service would soon send a request for weapons suppressors from the arms industry, according to Marine Corps Times. Manning didn’t talk numbers — noting only that the suppressors would be used “across the forces” — or say whether the suppressor would be designed for the M4 or the M27, but he did say commercial suppressors were already being tested and suggested suppressors built into weapons would be preferred. The Army and the Marine Corps have been evaluating suppressors for regular infantry as a way to add stealth and boost tactical capabilities. Some Marines have been training or deployed with suppressors for both weapons. 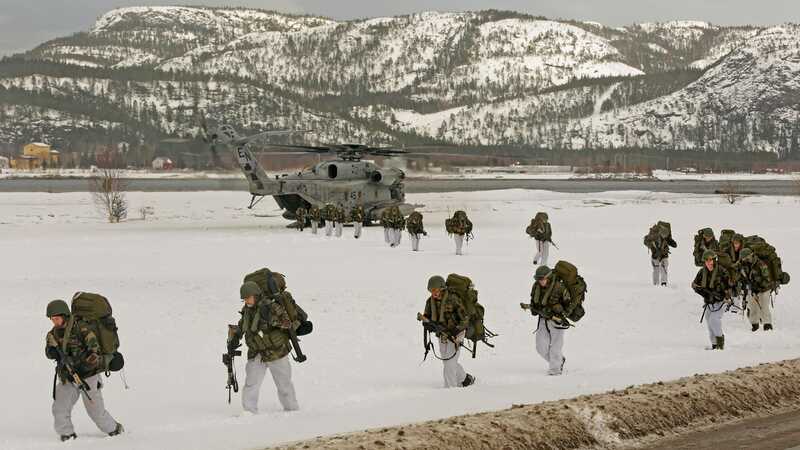 A Marine rotational force deployed to Norway earlier this year was the first unit to be outfitted with suppressors on every weapon.